We are taking the summer inspiration very seriously these days. So don’t be surprised, don’t be alarmed, we’re just here to help and talk about beaches once again! 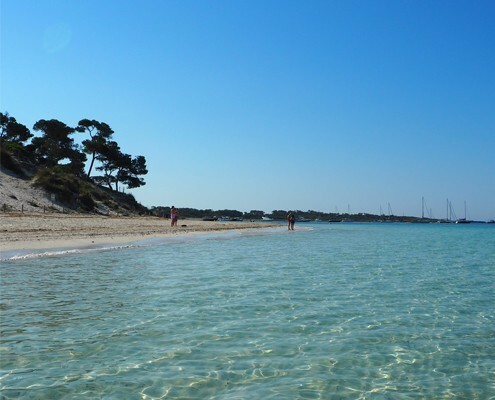 But after giving you our selection of the best beaches in Mallorca, we’ve thought to also give you the best beaches by area, for you to decide which beaches in which area to explore next. Last month we headed all the way East and gave you some beach-advice there, and today we’re taking our rental car all the way South, where some of the most stunning beaches of Mallorca are actually located (in our opinion). Take your beach towel, put on some sunscreen and go visit! In the Southern area of Mallorca you’ll find the ultimate Mediterranean dream come true: white golden sand & turquoise crystal clear water. That’s the winning combination. It doesn’t get any more natural than Es Carbó. 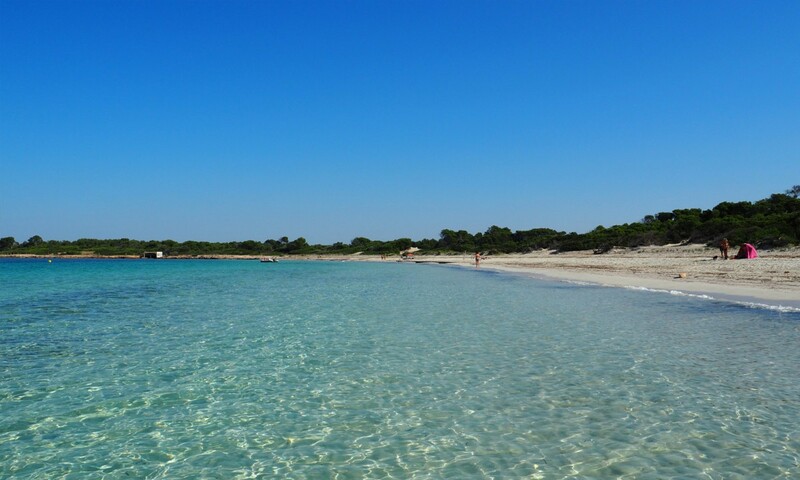 This breath-taking beach can’t be reached by car, which is why you can either park your car in Colonia de Sant Jordi and start walking for about 30 minutes or reach it by boat. 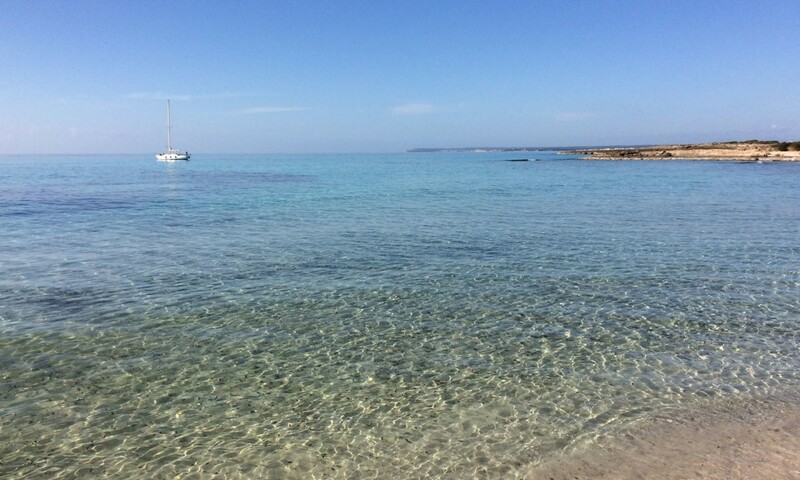 This large remote beach is about 2.3 kilometres away from Colonia de Sant Jordi and is lacking all kinds of facilities: just you and the beach. Another peaceful and not very busy 100% Mediterranean beach is Es Caragol. 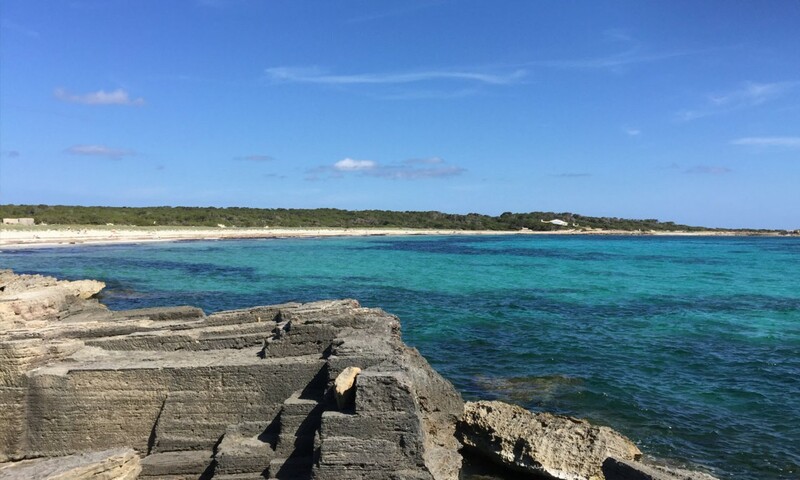 Located even after Es Carbó, it is a long walk away from Colonia de Sant Jordi. The beach is a mix of sand and beautiful rocks, adding to its charm and feeling of being lost in nature. Nudism is allowed and it never gets busy, as it is difficult to reach! 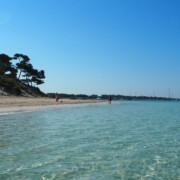 Es Trenc is one of the beaches Mallorca is famous for. With an unspoilt beauty, this stunning beach is not attached to any resort, being isolated and offering a natural feel. Es Trenc can be reached by car; there are plenty of parking spaces nearby, making this beach very busy in summer. 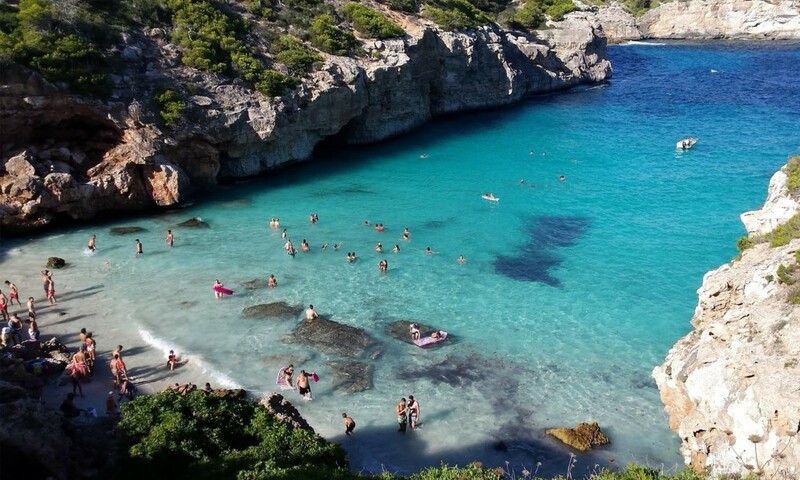 With over 2 kilometres of golden sand and clear water, it is often referred to as Mallorca’s answer to the Caribbean. Very different from Es Carbó, Es Caragol and Es Trenc, Caló d’es Moro is a picture perfect cove located in Mallorca’s Southeast, about 6 kilometres away from Santanyí. Parking can be difficult, but once you’ve done it, you won’t have to walk long to reach this little piece of Paradise. It’s adjacent to Cala S’Almunia; both of them are worth a visit! Warning: it gets really busy in summer!